Aloe Blacc is The Man. The singer, songwriter, and performer makes incredible music that is inspiring, uplifting, and socially relevant. His ability to write lyrics that tell stories about the human condition has made his album, Lift Your Spirit, a top-seller. In addition being a talented musician, Aloe Blacc is also known for his sartorial flair. 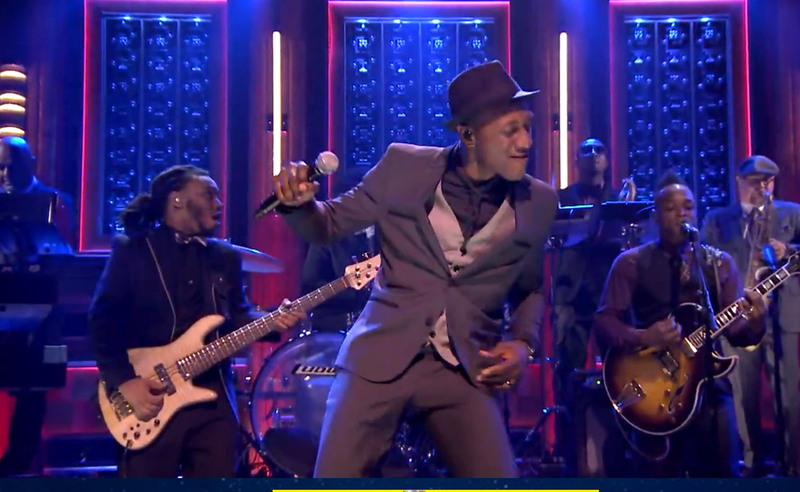 In this video, Aloe Blacc displays his dapper style (Suit by The Kooples) while performing his hit song, “Love is the Answer,” on The Tonight Show starring Jimmy Fallon.